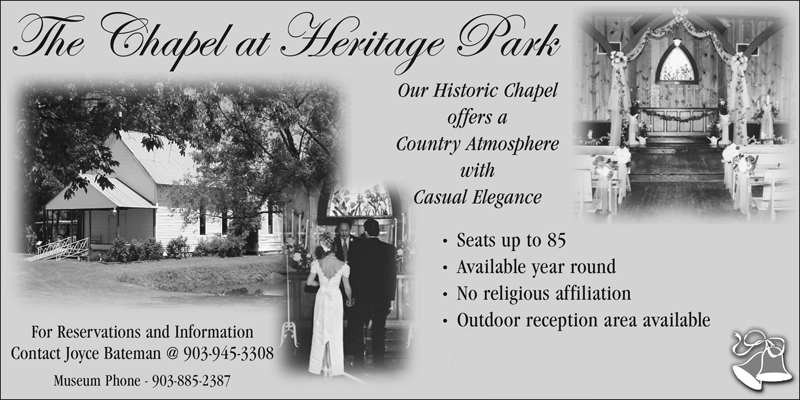 Guided tour of buildings and grounds - $10 per adult. Open same hours as Museum, but buildings will be open only during annual events and for groups by appointment. Guided tours are also available by special arrangements.